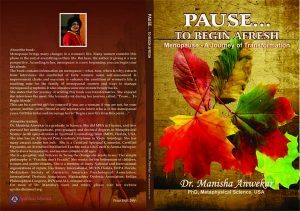 Starting from January 2018 till date, Dr. Manisha Anwekar writes and publishes ONE BOOK EVERY MONTH!!! It’s so amazing!!! She writes about spirituality in every sphere of life. For delivery of paperbacks in India, please add Rs. per copy to the cost of the book Thank you. 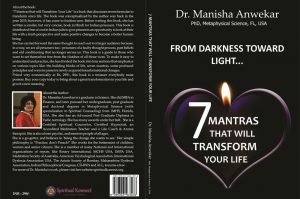 The book discusses seven unique formulae so as to bring about a sea-change in your personality and life. If practised as advised, you will definitely witness the results in the due course of time. 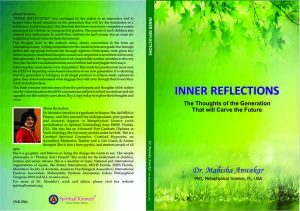 The book also emphasises on many topics of importance that are needed to create a whole new life as well as how to preserve the newly acquired changes. This book is a practical guide to bringing Zen in your everyday life. The author staunchly believes that in order to give more meaning to your life, one should practice spirituality diligently. 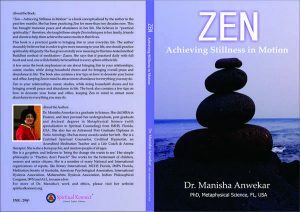 A few areas the book emphasises on are about bringing Zen in your relationships, career, studies, while doing household chores and for bringing overall peace and abundance in life. 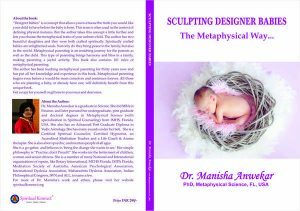 The book also contains a few tips on how to decorate your home and office, keeping Zen in mind to attract more abundance in everything you do. INNER REFLECTIONS is a unique book. It contains selected essays written by students between ten and eighteen. The book clearly spells the NEED to conduct such competitions and provide practical value-based education to our children who are tomorrow’s torch-bearers. This book contains 64 easy to make vegetarian recipes. This book is a helping hand on how to prepare snacks quicker and without much fuss. Apart from the easy Indian vegetarian recipes, this book also contains a complete information on how to save time, how to avoid accidents while cooking, knowing the utensils used in the kitchen, simplifying kitchen jargon etc. 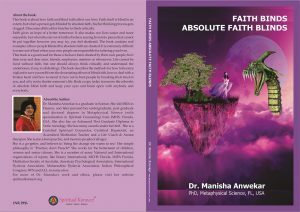 The book is about how faith binds humans across the globe. However, when we become blinded by faith, it has all the potential to ruin our lives. 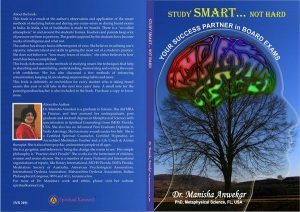 The book is about achieving success in board exams by studying Smart and not Hard. Learn the techniques and various other tricks to come out a winner. There is also a note for parents and teachers. The book is an Enchiridion for all those who are appearing for board exams this year or will appear in the coming years. Possess a copy to scale the difficult mountain of studies and examinations. Menopause brings many changes in a woman’s life. Many women consider this phase as the end of everything in their life. But here, the author is giving it a new perspective. According to her, menopause is a new beginning; you can begin your life afresh. This book is a gem every parent should gift to their children. I did just that!!! The book contains 1111 (One thousand One hundred and Eleven) instructions on how to live a meaningful life. 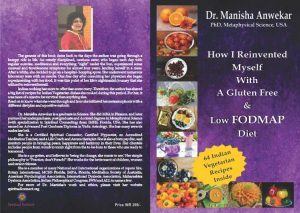 This book is about the challenges the author went through and her journey of reinventing herself after she was diagnosed with many food allergies, Gluten sensitivity and intolerance to certain foods. 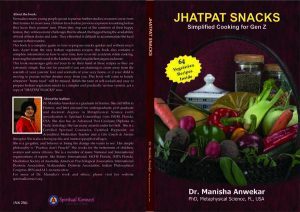 The book also contains sixty four Indian vegetarian recipes. Antahkaran means Pure Consciousness in Sanskrit. 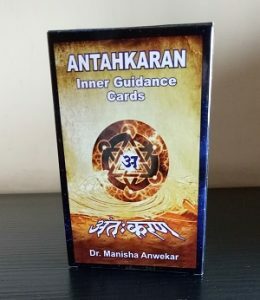 The concept of ANTAHKARAN Inner Guidance Cards was conceived as a result of the insight received from the Higher Self of the Author. We are all driven by the Universal Energy. The Author staunchly believes that the chances of straying from one’s Life Path are greatly reduced if one follows the guidance from Antahkaran. Come, Experience it yourself.